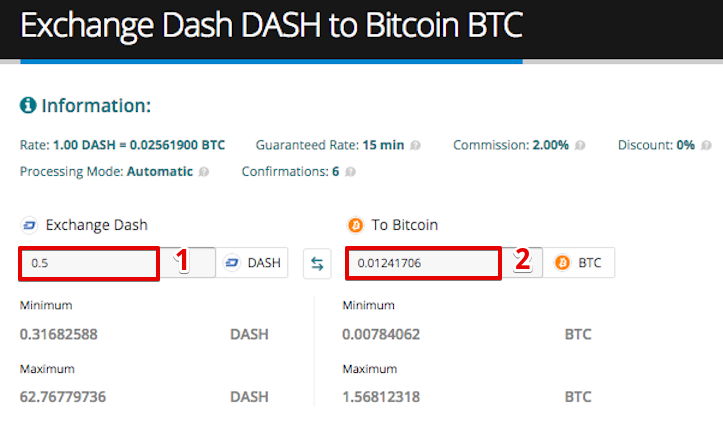 In this manual as an example we’ll show you how to sell your Dash (DASH) for Bitcoin (BTC). You can use one of the guide methods (Method 1 or Method 2) and then follow the selected guide method steps. 3. 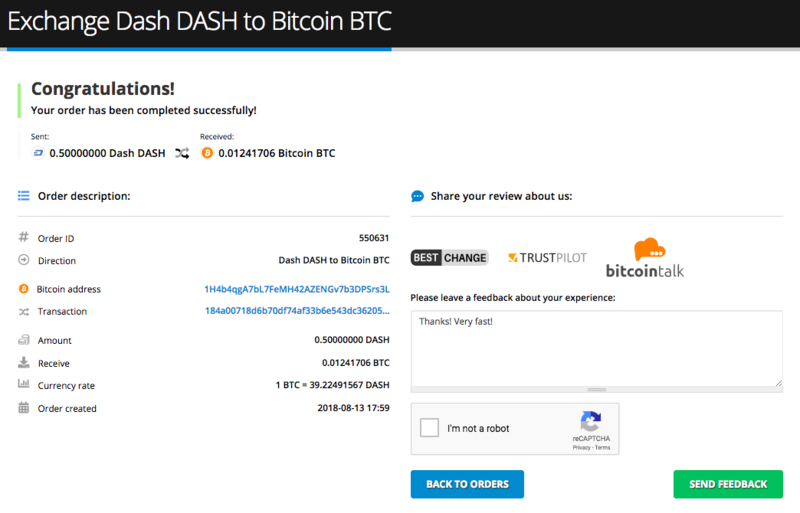 Now you need to enter the required amount of destination currency (2) (in our example: Bitcoin) or source amount (1) (in our example: Dash) you’d like to exchange. If you change destination amount the source amount will be automatically re-calculated and vice versa. In our example: the order will be completed automatically after transaction gets 6 confirmations. 1. 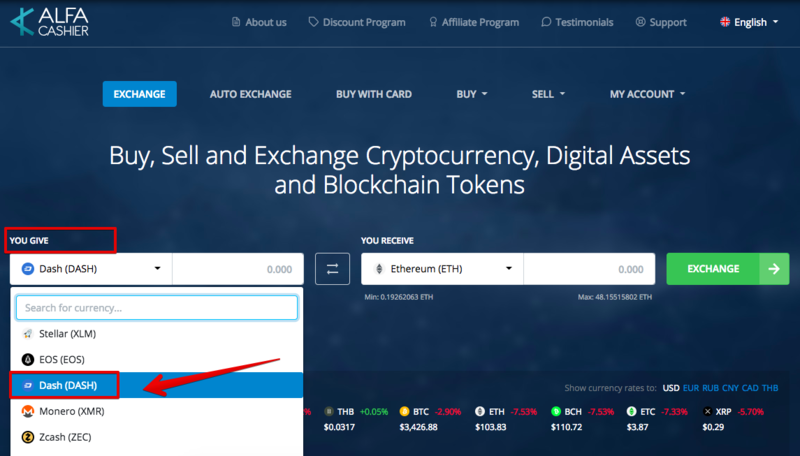 At the main page, choose SELL menu in the upper menu and click the cryptocurrency you want to sell (in our case, Dash). 2. 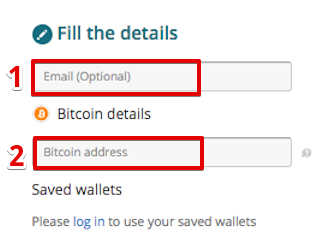 Select your preferred currency (1): USD, CAD, CNY, RUB, Crypto (in our case - Cryptocurrency), select the payout method (2): one of supported cryptocurrencies (in our case - Bitcoin). 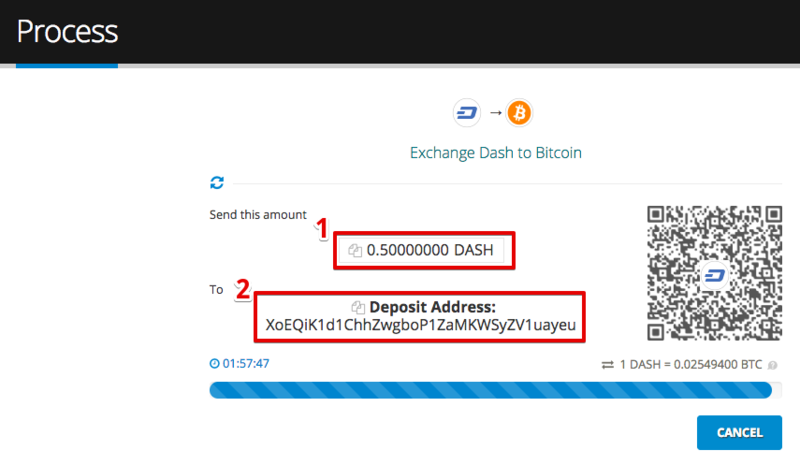 Enter either source amount (3) (in our example: Dash) or destination amount (4) (in our example: Bitcoin).